Yes, you can also hitchhike boats! Even though its possible, its pretty hard – you have to research a lot, be adjustable and – lucky. And even if you succeed, the hardest part is yet to come – sailing itself. My only experience was sailing across the Indian ocean in 45-foot yacht (more about it HERE), on which I spent 45 days with my captain and two crew members which, like me, were sailing virgins. Sailing across the ocean sounds like the ultimate adventure, especially when its done and when you summarise few weeks/months into few minutes of interesting story or few hundred words of text. Sailing in many things reminded me of a prison. In fact, I developed a theory (I had plenty of time) that a prison was way better than sailing across an ocean. You couldn’t get off the ship, just like you couldn’t get out of a prison. Moreover, you share a certain space with a bunch of people you cannot choose, once again, same as in a prison. You are counting down the days till you’re free/on the land. On a ship you have to cook for yourself, while in prison you don’t have to do that. That’s a plus for prison! You eat fish more often in prison. +2. A prison doesn’t sway back and forth all the time. +3. There ere no storms in a prison when you keep on being afraid for your life. +4. There are no lightings that could hit the ship and cause such a damage that we could easily, as our captain used to say, sink the ship in the middle of the ocean. +5. You can’t receive any visitors on a ship. +6. There is no communication with the environment. +7. You get to shower, on average, once in five days, and usually in salty water so there are some problems when rinsing. +8. On a brighter note, on a ship, there is no one sneaking behind your back while you are soaping yourself. At least not on my ship. One plus for the life on a ship! 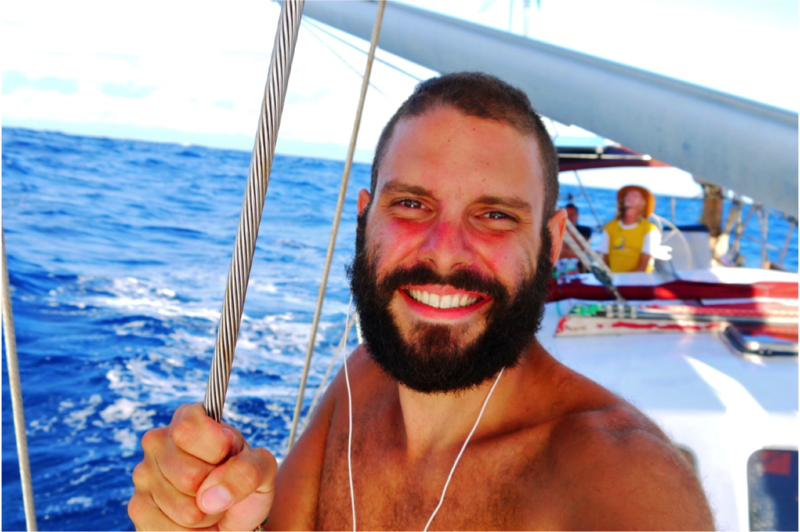 When people ask me about the biggest challenges on my travels, sailing across the ocean is always on the top of the list. Its also there when people ask me what is the only thing I would never do again. And I really rarely use the word never. EXPERIENCE – its not essential, but having it will make things easier when it comes to getting a spot on the boat. 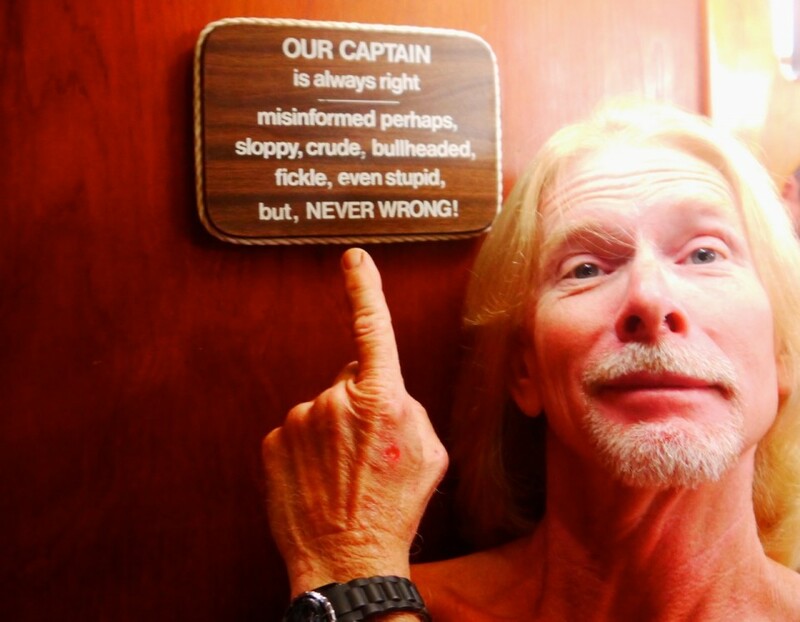 Even though, some captains prefer crew with no experience so they can teach them everything from scratch. BE HARDWORKING – even though there is nothing much to do while sailing, when you are required to work, you have to work. You change the sails in the middle of the night while waves are crashing from each side, you cook while being seasick, every night you do night watches, you clean whatever is necessary, etc. OBEDIENCE – captain is a God, and you shall have no other gods before him. He is responsible for the crew and the boat, and your lives depend on him. Literally. COMPANY – captain will, in most cases, have a big choice while choosing the crew – and you will have an advantage if he sees you as a good company. He will want to spend some quality time with someone, for few weeks in a small space, 25 hours a day. MONEY – in most cases you will be asked to cover part of expenses. In best case you will have to pay for just the food, but some will demand you pay for the fuel, port costs, etc. I was lucky so I had to pay only couple of dollars a day for the food, but most of the people don’t pay less than $20/day. There are cases when captain won’t mind that you have nothing of the above, but that is when you should be afraid – he is probably interested in – you. Yup, you will bump into old sailors looking for only one thing in return. HOW TO HITCHHIKE A BOAT? There are two main ways to hitchhike a boat – online, or in the ports. There are many web pages that connect boat owners that look for crew with people willing to join. I found my ride on findacrew.net (there are few useful links at the end of this article) by sending few emails to captains of yachts that were nearby. Before you start looking for a boat, you have to know that most of the boats sail on certain routes in certain periods of year, so they can use sea currents and winds, and avoid hurricane seasons. The second way to hitch a boat is – going to the port, walk from yacht to yacht, from pub to pub, and ask boat owners do they need a hand on their way. Its a much riskier option since there is always a possibility that you don’t find what you’re looking for, the season passes, and you are stuck in the middle of nowhere. On the other side, by coming to the port you increase your chances to meet the captains in person and leave a good impression, face to face. 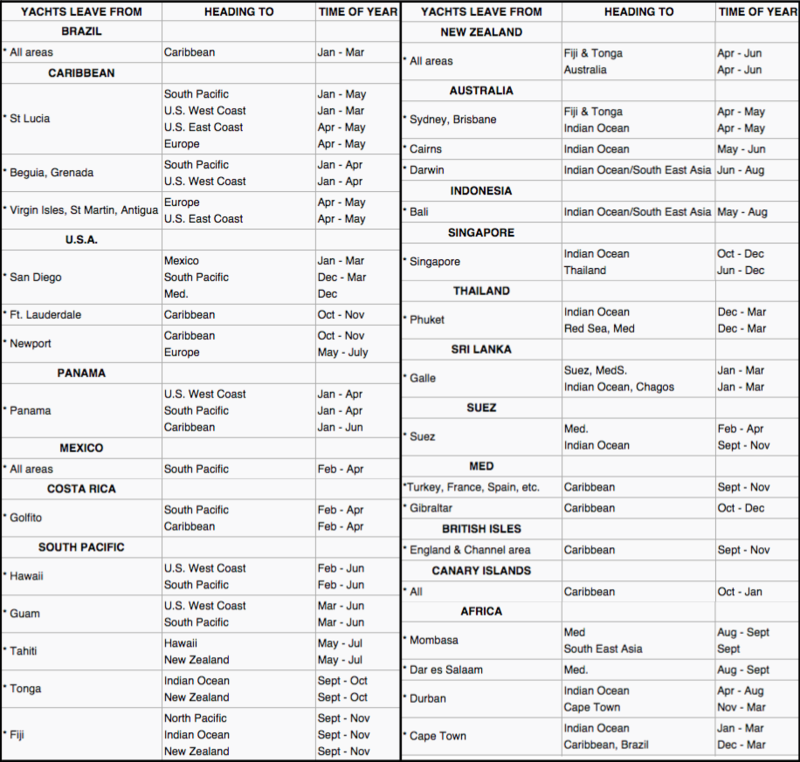 Although, you have to keep in mind that last years boat hitchhiking became pretty popular so, for example, a bunch of people who want to cross the Atlantic gather in the Canary Islands and the contest to get a ride to the west begins. But I suppose that the less popular ports are easier to get a ride, and that if you are smart and capable – you can find what you’re looking for. 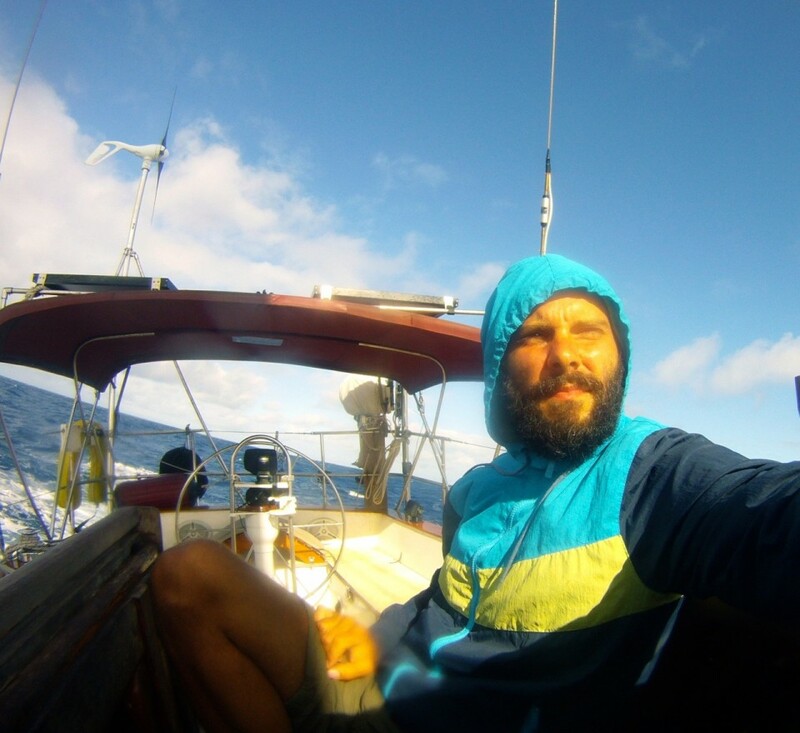 Btw, be sure to read this article – Catching a Ride Across Atlantic. It was written by a family that lives on their yacht, and its full of good (and funny) suggestions from boat owners perspective. Yachts are not the only sea transportation vehicles that you can hitch. FISHING BOATS – the procedure with them is much simpler, since you are going shorter distances. Go to the docks, talk with the fishermen and ask who is going in your direction. FERRIES – ask car or truck drivers to take you with them, in case the price of the ticket is the same no matter how many passengers are in the vehicle. CRUISERS – you can always try to find a job on the cruiser. Not only you will get a free ride, but you can make some money in the meantime. CARGO SHIPS – honestly, I don’t know anyone that managed to hitch a cargo ship. I think nowadays there is a lot of paperwork and security issues, and on the top, they started to charge for accommodation, so you can rent a room on the cargo ship, and enjoy with the crew across the ocean. All in all, to hitchhike a boat is very demanding job, and the sailing itself can be really tough. But, at the end, you can experience something really unique, see some places not a lot of people see, and tell stories to your friends about how cool and adventurous you are. And write an article about boat hitchhiking. You have more links inside of these links, check them all out. I told you – a lot of research and preparation is needed.